You know how you get that one song stuck in your head? It happens with all of us, I realize but some songs are naturally more enjoyable than others or should I say, less annoying. Over the weekend I was in toddler overload with the combined visits of my two grand daughters. In between games of pretend, trips to the beach, park and general roughhousing there were moments when a little judicious TV time was called for (partly to give poor Mimi a break!). Educational of course and what self respecting grandma would ever admit to anything else?? Anyway, there is this one show that has a really catchy tune and as of today it is still Stuck In My Head! Ummm, hello? The kids are gone now so why, oh why is Guess With Jess still revolving in my brain like a record on a never ending loop? Such a cheery lyric and obviously designed to get the kids moving and motivated especially combined with its quick and upbeat melody. I see the advantage for this type of subtle indoctrination now. Luckily for me, as a mom I didn't have any problems getting my kids up and out the door. However, history tells a different story. When I was a kid I had a really hard time waking up and getting up for school. I'd procrastinate until I was practically late for class much to my mom's eternal frustration. I suppose it may have something to do with staying up until the wee hours doing homework because I put it off again. Oh dear. There's that P word again. Maybe if she had played Guess With Jess blasting from my red Panasonic cassette tape player back then I would have popped right up like a jack in the box! Ha! More than likely I would have pulled the pillow over my ears and stayed in bed out of pure contrariness! 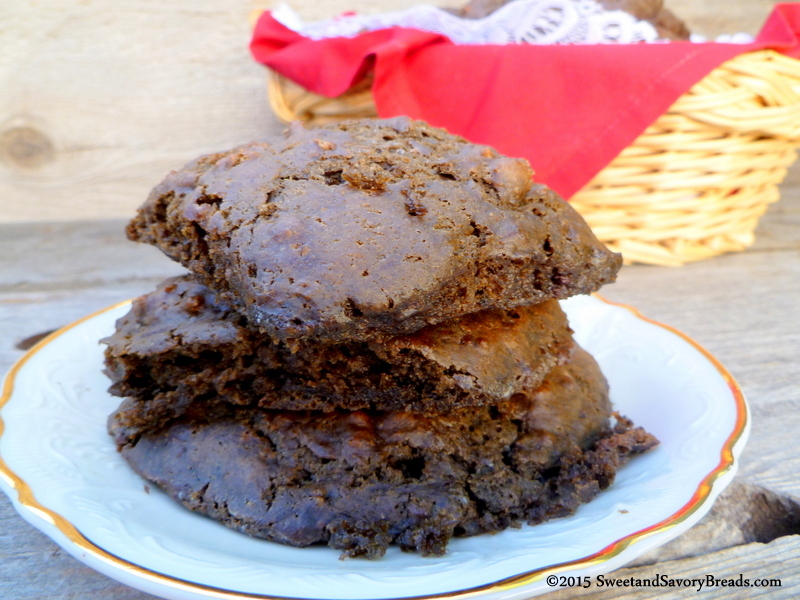 I'd like to think that if I'd awoken from the blissful arms of slumber to the scent of Double Chocolate Brownie Biscuits baking in the oven I would have given myself plenty of time to savor a meal of these delectable morsels. Of course, wishful thinking aside more than likely I would have had them handed to me wrapped in a napkin to eat on my merry, albeit hurried way! 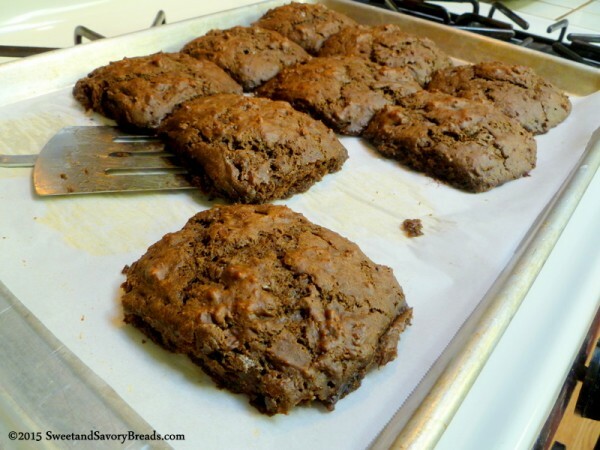 These Double Chocolate Brownie Biscuits would be awesome on your breakfast or brunch table for any special occasion from birthdays or Valentine's Day! 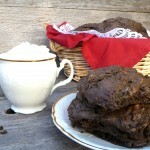 Double chocolate brownie biscuits are a light, yet not too sweet addition to your Valentine's Day breakfast or brunch. Preheat oven to 425 degrees F. Cover a large baking sheet with parchment paper and set aside. In a large bowl stir all dry ingredients together until combined. Using a pastry blender cut cold butter into the flour mixture until it resembles coarse crumbs. Stir in the buttermilk, chocolate syrup and vanilla extract until just combined. The dough will be wet. 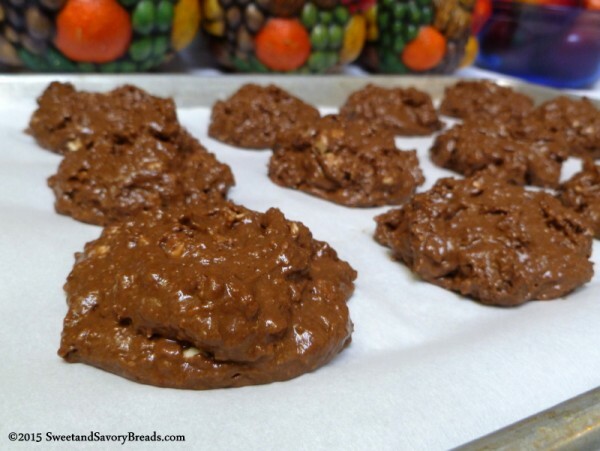 Drop approximately 1/4 cup mounds on the baking sheet at least 2 inches apart as biscuits will spread during baking. Bake in preheated oven for 12-15 minutes until set. Serve warm or cooled alone or stack with fresh strawberries and whipped cream. Try using Double Chocolate Brownie Biscuits for a unique take on strawberry shortcake or with Southern chocolate gravy! Recipe adapted from How Sweet It Is. Posted in Breakfast Breads, QuickbreadsTagged biscuit, breakfast, brownie, buttermilk, chocolate, cocoa, sweetBookmark the permalink.